In case you missed it, the past couple of months have been wild and crazy in the world of SEO. We’ve seen an avalanche of unnatural links notices; Pandas and Penguins have completely monopolized the news; and negative SEO has become one of the most hotly debated topics of the year. This post represents my attempt to organize the chaos by describing various events that have transpired. Specifically, I created a massive timeline that includes important events (e.g., algorithm updates) as well as noteworthy posts and videos that cover those events. In some cases, I simply summarize a given post or video, and in other cases, I add my own commentary. But before we take a stroll down memory lane, it’s important to note that I have included events that are not directly related to the Penguin Update. Although this update was the most newsworthy event of the past few months, a number of other events influenced its coverage, and as a result, they also appear on the timeline. Matt Cutts pre-announces a Google “over optimization” algorithm change in the Dear Google & Bing: Help Me Rank Better! session at SXSW. Ryan Clark writes an informative post about private blog networks getting deindexed by Google throughout February and March: Private Blog Networks Getting Deindexed? Google deindexes one of the most popular paid blog networks (BuildMyRank). As Ryan noted previously, Google had already deindexed numerous networks, but the BuildMyRank deindexing received the most attention due to the network’s size and popularity. Jennifer Ledbetter gives her take on the paid blog network deindexings: OMG! The Sky Is Falling!?!?! These comments are common knowledge for many of us, but that doesn’t make them any less valuable. Fundamentally, Google treats links as votes or endorsements by one site in favor of another. If your site loses these votes (regardless of the reason), it’s less likely to win its “election” in the search engine rankings. Carson Ward provides his experience as a former “link network spammer” in this insightful post: Unnatural Link Warnings and Blog Networks. Carson also presents an example of Google’s unnatural links notice (many webmasters began receiving them around the same time that Google was deindexing private blog networks). In the aftermath of Google deindexing private blog networks and sending thousands of unnatural links notices, Modesto Siotos presents an approach for assessing and monitoring the riskiness of your backlinks: How to Check Which Links Can Harm Your Site’s Rankings. Modesto’s technique is very straightforward. First, you identify the root domains of the sites linking to your site. Then, you repeatedly check the ToolBar PageRank (TBPR) and social metrics for those domains as well as the percentage of domains that have been deindexed. As you repeatedly check this information, you’re looking for potentially troubling signs (e.g., the TBPR distribution skewing to lower numbers, an increasing percentage of deindexed domains, etc.). Barry Schwartz comments on a “huge uptick” in the number of people claiming that their sites were deindexed by Google: Google Update April 2012? Over SEO Penalty? Initially, the prevailing wisdom was that these deindexings were caused by the “over optimization penalty” (this hypothesis was subsequently rejected based on comments by Matt Cutts – see below). Jammy posts the details of his negative SEO campaigns against Dan Thies and negativeseo.me in this Traffic Planet thread: CASE STUDY: Negative SEO – Results. Jammy chose Dan Thies as a target for a variety of reasons (one of which relates to his Twitter exchange with Matt Cutts on March 15), and he chose negativeseo.me because that site was selling negative SEO services. This thread is incredibly interesting for at least two reasons. First, although the industry was already having conversations about negative SEO, this thread put those conversations in the spotlight and spawned a wave of new posts and opinions about the subject. Second, the results are somewhat alarming. Although it doesn’t appear that Jammy’s scrapebox blast negatively impacted Dan’s site (for the dan thies query), it did potentially impact negativeseo.me’s rankings (I say potentially only because we can’t account for every variable that might be responsible for the observed change). Jammy also reports that Dan’s site lost significant rankings for 3 queries (seo, seo service, and seo book) and received an unnatural links notice from Google; however, as various commenters pointed out, this result was probably caused by thousands of Authority Link Network links targeting those phrases that were created by an unknown source between March 18 and March 23. Obviously, we can quibble about various details of this experiment, but the key takeaway is that negative SEO is a very real problem. 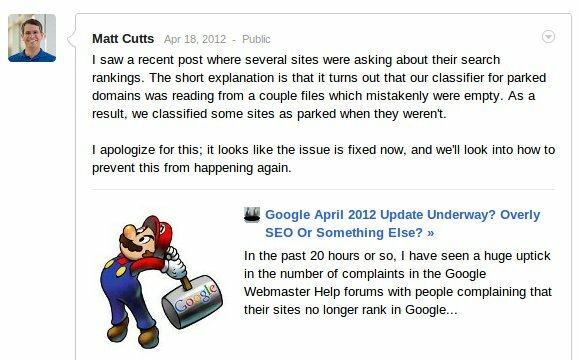 Matt Cutts posts on Google+ that sites were losing search rankings (see Barry Schwartz’s post above on April 17) due to a problem with Google’s “classifier for parked domains” (and not the “over optimization” update that people were fearing). Google quietly releases a Panda data refresh (i.e., Panda Update 3.5). Rand Fishkin posts a video that details preemptive actions that SEOs should take before the “over optimization” penalty goes live: 6 Changes Every SEO Should Make BEFORE the Over-Optimization Penalty Hits – Whiteboard Friday. Google finally releases the highly anticipated “over optimization” update. Here’s the official announcement: Another step to reward high-quality sites. According to the announcement, this algorithm change is primarily targeted at webspam, and it will affect about 3.1% of queries in English. Google gives the new webspam algorithm change an official name: Penguin. Rand Fishkin posts a video about negative SEO: Negative SEO: Myths, Realities, and Precautions – Whiteboard Friday. In the video, Rand discusses various ways to negatively affect a site, including exploiting a security vulnerability in the site’s Web server or hosting platform (to propagate malware or spam) as well as submitting spam reports about a site to the search engines. He spends the majority of the video discussing the negative SEO campaigns described on Traffic Planet (see the description above on April 18). As part of this discussion, he identifies factors that make a site more susceptible (e.g., existing spammy backlinks, a limited number of brand signals, manipulative on-page activities, etc.) and less susceptible (e.g., a clean backlink profile, a high-quality UX, strong brand signals, etc.) to negative SEO. Finally, he offers a few suggestions for monitoring potential negative SEO campaigns against your site, and he advocates maintaining an open dialog with the search engines to help minimize any damage inflicted by those campaigns. Google releases another Panda data refresh (i.e., Panda Update 3.6) only a week after the previous one. Aaron Wall gives his take on the Penguin Update in this post: The Google Penguin Update: Over-Optimization, Webspam, & High Quality Empty Content Pages. In the remainder of the post, Aaron shows other examples of unhelpful or useless Google results, and he warns that SEO requires “threading the needle” (i.e., finding the sweet spot between being aggressive enough to get results and being aggressive enough to get penalized). The folks over at Microsite Masters present an analysis of the Penguin Update: Penguin Analysis: SEO Isn’t Dead, But You Need to Act Smarter (And 5 Easy Ways to Do So!). Diversify Anchor Text – instead of exclusively using “money keywords” in anchor text, include URLs, brand names, post titles, generic text (e.g., “here” or “click here”), etc. Use Whitehat Strategies – leverage guest posts on relevant sites, attract media coverage, and utilize viral marketing. Diversity Traffic Sources – look for other sources of traffic to help protect against future Google updates. Dr. Pete provides a very nice overview of the Penguin Update (and uses one of my favorite titles): Penguins, Pandas, and Panic at the Zoo. DO Take a Deep Breath – stay calm, and identify exactly which traffic your site lost. DO Check the Timeline – a lot of updates are hitting at the same time; try to identify the correct culprit. DO Double-check IT Issues – not all traffic losses are caused by updates and penalties. 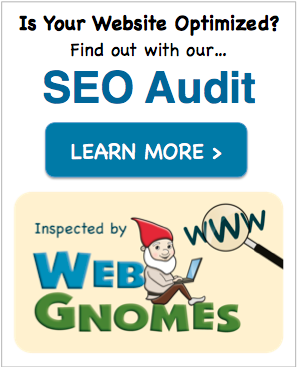 DO Quickly Audit Your SEO – make sure you know as much about your site’s SEO practices as possible. DON’T Take a Hatchet to Your Links – don’t remove links just for the sake of doing so; make sure they’re actually causing a problem. DON’T “De-optimize” Without a Plan – this piggybacks the tip about staying calm; make sure you have a plan in place as opposed to acting blindly. DON’T Submit a Reconsideration Request – the Penguin Update is algorithmic, which means it will refresh itself (i.e., a manual reconsideration won’t help unless you firmly believe your site is a false positive). Richard Baxter gives helpful advice for recovering from Penguin: So Your Site’s Been Penalised? Now What? Review Your Site for the Other Problems – numerous updates were released at once; cover your bases by cleaning your technical SEO strategy (in addition to investigating your backlinks). Remove All the Bad Links – identify the most “toxic” links, and do your best to unbuild those links. Mix Up Your Inbound Anchor Text – if you have an “unnatural” linking pattern, strive to make the links more branded. Review Where You’re Linking To – make sure you’re not linking to low quality, low trust sites (or sites being penalized for selling links and other spammy behavior). Don’t Panic – gather as much information as possible, and then, make well-reasoned decisions based on that information (i.e., act rationally – not rashly). Modesto Siotos offers guidance about identifying suspicious link characteristics: How To Survive Google’s Unnatural Links Warnings & Avoid Over-optimisation. Eric Enge publishes an interesting video interview with Bruce Clay about link pruning: Link Pruning is the Key to Addressing Penguin. Rand Fishkin posts a video on Google+ about the Penguin Update: What’s Unique & Noteworthy About Google’s Penguin Update. The Penguin Update is NOT focused on improving the quality of search results – it’s about removing value from sites and pages that are manipulating the search results. It affects some of the worst spam as well as “very light” spam (e.g., site-wide footer links used by web developers and hosting companies). The update is focused on manipulative backlink profiles (and potentially also where your site is linking). It appears to affect a disproportionate number of sites in the marketing and services verticals. Lots of “terrible” stuff is ranking in the spammiest verticals, including empty pages and parked domains (this echoes many of the examples cited previously by Aaron Wall and others). Jon Cooper writes a helpful guide about the types of links we should be acquiring post-Penguin: What type of links should we be getting? In his post, Jon makes the point that post-Penguin link building techniques are still very similar to the approaches being advocated before the update. Yes, anchor text distributions need to be more diversified (and more brand-oriented), but many of the old link building principles are still sound. You can read the specific techniques he describes in this post, but you’d be better served reading his extensive list of link building strategies instead: Link Building Strategies – The Complete List. Danny Sullivan interviews Matt Cutts about the Penguin Update, recovery, and negative SEO: Two Weeks In, Google Talks Penguin Update, Ways To Recover & Negative SEO. First, the interview discusses the successfulness of the update, and according to Matt, “It’s been a success from [Google’s] standpoint.” Next, the interview explains that reconsideration requests won’t help initiate a Penguin recovery because it’s an algorithmic update (as others had already explained). 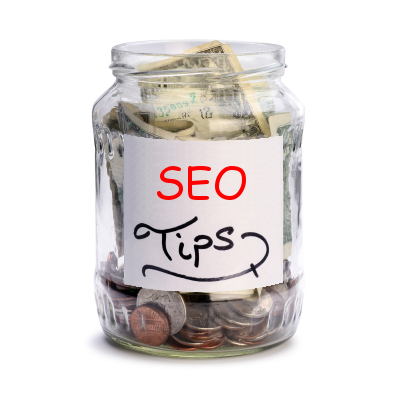 Then, the interview turns to the topic of negative SEO, and the responses are somewhat unsatisfactory. Matt claims, “[Google has] done a huge amount of work to try to make sure one person can’t hurt another person.” However, he declined to comment on the Dan Thies situation (chronicled above in various posts and videos). Finally, the interview offers the same advice we’ve seen previously: (1) clean up on-page spam, (2) clean up bad links, (3) wait for the next Penguin data refresh and see if you recover, and (4) only file a report if you genuinely believe your site is a false positive. One interesting resource that is included at the end of the post is this list of WordPress plugins that insert hidden links into a blog: Google Penguin Targeted Many WordPress Blogs With Hidden Links In Plugins/Themes. Rob Kerry posts a video about the Penguin Update: The Penguin Update – Whiteboard Friday. 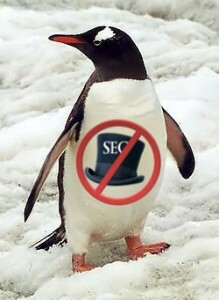 The Penguin Update is not only about buying links; it’s about sites that are trying to manipulate Google. 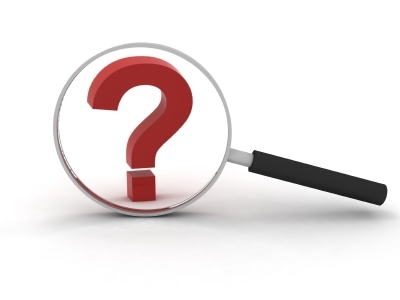 It’s important to investigate a site’s link footprint to identify suspicious links. Inventory your site’s backlink anchor ratio; if commercial terms are in the top spots, you need to adjust your strategy. There is not a quick fix for this update. Make sure your site’s content is unique and useful, and make your website look as natural as possible. SEO Cliff creates a site for tracking Penguin Update news and resources: Google Penguin Update. Barry Schwartz reports on a query hack that allows searchers to see pre-Penguin search results: Hit By Penguin? Google Query Hack To Confirm? For example, the following query: blue widget -amazon returns the pre-Penguin results for blue widget. Bryant Dunivan offers 10 link building tips for a post-Penguin world: 10 Post Penguin Link Building Tips. Build high quality, authoritative links in your target niche. Avoid automated approaches (e.g., directory submissions), and focus on manual techniques (e.g., broken link building, outreach, guest posting, etc.). Build a natural link graph – use more organic anchor text (e.g., “read more”, “click here”, etc. ), an appropriate dofollow/nofollow ratio, and meaningful placements (i.e., avoid the spammy site-wide footers). Alex Pyatetsky writes an interesting post about the inconclusive nature of previous Penguin articles: 4500 Words on Everything We Don’t Know About Penguin and What Not to Do About It. Alex begins his post by describing what the Penguin Update is supposed to be about: (1) over optimized anchor text profiles and (2) links from irrelevant sites. Then, he highlights a few examples of “awful” search engine results (the most notable example he gives is the make money online query mentioned above by Aaron Wall on April 27). Next, Alex dives into the results presented by Microsite Masters (see May 2 above). He is somewhat dismissive of the individual graphs presented by Microsite Masters because they do not conclusively prove that over optimized anchor text and/or irrelevant links directly lead to a Penguin-related penalty. However, I believe this analysis is a bit shortsighted since it assumes that the Penguin Update is a single feature classifier (or a simple combination of a small number of signals). It is far more likely that the update is a weighted combination of numerous features, which include the presence (and severity) of over optimized anchor text as well as the percentage (and authority) of irrelevant links. Thus, the Microsite Masters graphs are valuable because they offer at least some evidence that Google is putting more emphasis on the optimization level of anchor text and the absence of relevant links. I also want to caution against drawing quantitative “best practice” conclusions from any of this data. In this particular case, it’s interesting that the Microsite Masters data shows a cut-off at 60% for over optimized anchor text, but this specific number will quickly become a moving target (similar to the “best practice” keyword densities from back in the day). The important takeaway is that over optimized anchor text is being scrutinized (and not the specific number). Alex also expresses his disbelief that Google would want to devalue links from irrelevant sites, labeling it a “Wallstreet Journal penalty.” Basically, his argument (and this opinion is shared by many others) is that links from large sites such as The New York Times, The Huffington Post, and Tech Crunch would be considered irrelevant, resulting in a devaluation by Google. However, I have a different opinion, and I believe this argument misses the fundamental intent of an irrelevancy penalty (assuming one exists). First of all, it’s important to understand that a link’s value is determined by a variety of different factors, including the authority of the linking site (and the linking page), the trustworthiness of the linking site (and the linking page), the position of the link on the linking page, etc. Now, if we add relevancy (of the linking site and the linking page) to that mix of factors (or simply give relevancy additional weight), it doesn’t eliminate everything else. Thus, “some blog roll from any indus­try friend” might be more relevant than “a New York Times link” (emphasis on the might – more on the meaning of relevancy in a moment), but its overall value still pales in comparison to the New York Times link based on the various other link-related factors. Additionally, a link from a New York Times article about blue widgets is still incredibly relevant for a site about blue widgets. No, The New York Times is not in the blue widgets niche, but that specific article definitely is (i.e., the link might not have site-level relevancy, but it has page-level relevancy). Analyze your search results, see what you can learn, and act accordingly. Diversify your link building efforts. Maximize the value of your traffic – get visitors on your mailing list, use retargeting, etc. Look for guest posting and press opportunities. Do your research, and constantly evolve! Jonah Stein gives his take on the Penguin Update: When Penguins Attack. In his post, Jonah begins by echoing the same timeline concerns as many others: numerous updates were released in a very short window so your site’s concerns are only Penguin-related if you began losing traffic on April 24. 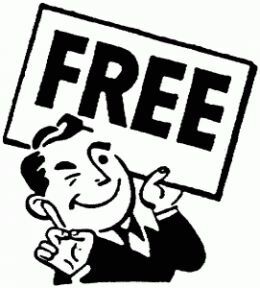 Next, he gives a list of link building techniques that have been penalized (or might be penalized in the future), including purchasing links, participating in a blog network or other linking scheme, running a link exchange program, and registering your site in hundreds of directories. Jonah also emphasizes the need to understand the difference between a natural link profile and one that has been built. He cites the following 3 characteristics as being predominantly associated with an unnatural link profile: (1) use of keywords in anchor text, (2) use of site-wide links, and (3) inclusion in directories, article sites, and blog networks. Finally, Jonah offers a familiar recommendation: clean your link profile, and strive for high-quality editorial links. The query hack for displaying pre-Penguin search results (originally reported on May 17) stops working. Jonathan Leger presents his findings about the Penguin Update’s impact (or lack thereof) on exact match domains (EMDs): Anchor Text Optimization – How Much Is Too Much? In this post, Jonathan conducts an experiment to quantify the amount of exact match anchor text in the search engine results post-Penguin. As part of the experiment, he gathered 1,500 keywords from 30 different markets, including business, technology, transportation, food, etc. Then, Jonathan submitted the keywords to Google to obtain the top-level domains ranking on the first page for each keyword. Finally, he checked each domain’s link profile to identify the percentage of links containing exact match anchor text. The average percentage of links containing exact match anchor text across all tested markets is 10%. Many EMDs are ranking in the tested markets (and many of those domains have exact match anchor text in more than 40% of their links). On average, the EMDs only have about 15% as many links as the other ranking sites in their markets. Jonathan’s hypothesis for why these EMDs are ranking (despite their high percentages of exact match anchor text) is that the exact match anchor text is being treated like brand-related anchor text. Using this logic, he essentially argues that if Google penalized bluewidgets.com for “blue widgets” anchor text, it would also need to penalize amazon.com for “amazon” anchor text. Nick Eubanks details his experience with an over optimization penalty that affected his personal blog: Recovering from an Over Optimization Penalty – A True Story. In this case study, Nick identifies a site-wide over optimized sidebar link as the culprit for his site’s penalty. 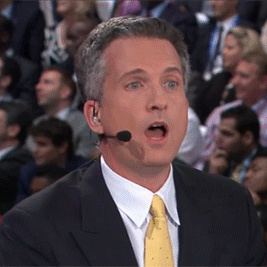 After he changed the offending anchor text to a somewhat naked URL, his site recovered. Nick’s primary takeaway in this post is that you should make your link profile as natural as possible (i.e., use naked URLs, “click here”, “here”, brand names, etc.). 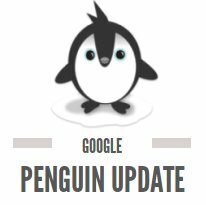 Google releases its first Penguin data refresh (i.e., Penguin Update 1.1). Ross Hudgens writes a very helpful case study about WPMU.org’s recovery from the Penguin Update: How WPMU.org Recovered From The Penguin Update. Ross begins the post by giving WPMU.org’s story. The site was hit by the Penguin Update, which resulted in a 81% drop in traffic (week over week). Fortunately, many of the site-wide links came from a single site (EDUblogs.org). And since this site is owned by the same owner as WPMU.org, they were able to instantly remove almost 15,000 site-wide, footer linking root domains from their link profile. Ross also highlights a few changes made by WPMU that were not necessarily link-related, which include implementing canonical URLs to clean up crawl errors with the site, updating and submitting XML Sitemaps, changing duplicate titles tags, and more. I would love to hear your thoughts about all of this craziness. What events really stuck out in your mind from the past few months? What do you expect in the months to come? Fantastic, and comprehensive post and insights on each of the articles that you highlighted. Hopefully Penguin updates will come often. I’ve been hit pretty hard by the last one and was not affected by any updates for over 5 years. Also unfortunate that my target niche sees a majority of exact match anchor text (much higher than my ratio) ranking in the top 10! And to add to that I have an EMD. That is THE most frustrating thing ever!!! I’m gonna rewrite title tags to flow like statements rather than being keyword1 – keyword2 – keyword3, and I’m going to build a ton of URL branded links. And hopefully a refresh comes soon. But I’m sorry to hear you were hit by the update. Be sure to check out Ross Hudgens’s recovery post (since it’s one of the few recovery case studies out there). And definitely check out Jonathan Leger’s site. He’s currently the most active contributor about Penguin’s effects on EMDs. Steve, your site has become my “one stop shop” for penguin advice – great resource! My site was unaffected through all these updates – until May 29, when my web-host was having all kinds of cable problems and network attacks, which made my site load very slowly for the next couple of days (and not at all for a few hours). Since that day, my traffic went down by half and stayed that way since – many page 1 rankings disappeared. Do you think this was a slightly delayed result of penguin 1.1 – or did the G bot happen to crawl my site when it was slow or down, and penalize it? There have been rumors that Panda Update 3.7 occurred around the time frame you’re describing, but I don’t believe there’s been an official announcement yet. I think what you’re experiencing is probably related to your site’s recent downtime; however, if your problems persist, an update could definitely be the culprit. Honestly, it’s hard to definitively know what is causing your traffic loss without additional investigation. If you send me an email through our “Contact Us” form, I’ll be happy to help you look into this. Hi Matt, I’m really glad you enjoyed the post. Moving forward, you’ve got to be careful with the site-wide Blogroll links. Make sure they don’t dominate your link profile (i.e., you have significantly more links in the actual content of pages); avoid using exact match anchor text (use brand-based phrases or even naked URLs); and make sure the linking site is relevant to your particular vertical. For specific examples, read the articles by Nick Eubanks and Ross Hudgens. Both of them describe situations involving site-wide links (Nick’s situation directly relates to Blogroll links). And you are definitely not alone… many people are consistently finding new examples of terrible search results post-Penguin. Hopefully, future updates will help restore order to this chaos, but only time will tell. Great work Steve on this post. The Penguin update was frustrating in that it’s hard to know where the tipping point is. One of my EMDs got hit hard in Penguin 1.1 after being more modestly affected by the original. Thanks for the feedback Jason! I’m really sorry to hear about your site. Have you been able to identify specific characteristics of your EMD that might explain why it was hit by Penguin 1.1? Wow! Thanks for this Steve, 3 months of updates compiled into 1 post. Now i need to read read them all and reevaluate our strategy. Steve – Thank you so much for putting all of this research together; it is incredibly helpful to be able to digest and analyze all of this information at one time; allowing your readers to paint a clear picture to date of how specific strategies and recommendations have affected other sites. Thanks for your kind words Nick! Although at some point, it’ll probably need to get broken into another post… I think the current one is already > 5000 words. Eventually, we’re going to reach “tl;dr” territory (if we’re not already there :-P). Thanks for the article. I’ve had 2 customer’s drop out of rankings because I used BMR and Automatic Backlink Creator. They worked great for a while! Both customers were at #1, now they’re gone! It’s hard to explain to customer’s. They think you’ve done something terribly wrong, Google is punishing you and they’re caught up in the crossfire. I’ve used your article to show them exactly what’s happening and it helped smooth things over a little. If anything, it’s bought me some time to make things right because they see that Google’s gone crazy! Thanks again!!! You’re very welcome Steve (great name btw)! I’m glad I could help you with your customers 🙂 Good luck getting the sites back to #1. Great post. Some of the posts you mentioned I had read looking for answers after being hit by penguin. I cleaned up some old bad links pointing to our site, but still haven’t seen any change. Your post happened to fill in some of the blanks. Thanks again. I’m really glad you enjoyed the post! Just keep working on your site; there’s been a lot of movement in the SERPs over the past few days so things are definitely still in flux. Steve, a most excellent and comprehensive post. Thanks for taking the time to put this together. Outstanding effort! thanks for a very informative post on Penguin. The timeline format was very interesting. I’ll absolutely do my best to update it periodically! Awesome article, you summarized penguin related things pretty well, I will share it with spanish speaking’s SEO community. And thanks for sharing it with others! Oh Man! How could I miss this post?!! A great salute to you steve. Well detailed post outlining each & every event took place pre & post penguin. I can understand how much time & stress it would have taken to write such a detailed post. But as we are all in the community & our job is to help each other which I like most about SEO. Came across so many new post which I’ve never heard of. Now, heading to your part 2.